This is a great chance to stock up lunch snacks for the kids! Grab these Cheetos Snacks for a low price! 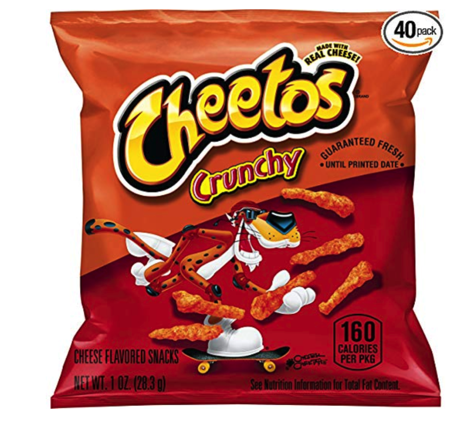 Amazon has this 40-pack of Cheetos Crunchy Cheese Flavored Snacks for just $11.33 shipped when you clip the 20% off e-coupon and check out through Subscribe & Save. « LectroFan White Noise Machine just $32.47 shipped!